Well Protected and Healthier Mobile Professionals. To deliver the best health & protection advice, solutions and services to employers of diverse and mobile professional workforces. We understand attracting and retaining talented professionals in Singapore is not easy. We understand HR terminology is changing, that the definitions of expatriate, localised foreigners, and local benefit plans are evolving and regional business travel is on the rise. We know that quality health insurance protection is extremely important to this mobile talent pool. We know the importance of having the right employee value proposition. We are leading the way in designing new employee benefit solutions for employers of these high-skilled professionals. Call us today to discuss how we can help you. We dare to be different. We are passionate about partnership. We are serious about service. We love what we do. How can Expat Insurance help me? We are an award-winning boutique insurance brokerage. We are independent and we work for our clients. Your interests always come first. We educate you on how the market works. We give you meaningful insights. We develop a deep understanding of your business. We create holistic services and solutions that deliver the results you want. And our culture empowers our team to provide you with exceptional client service. 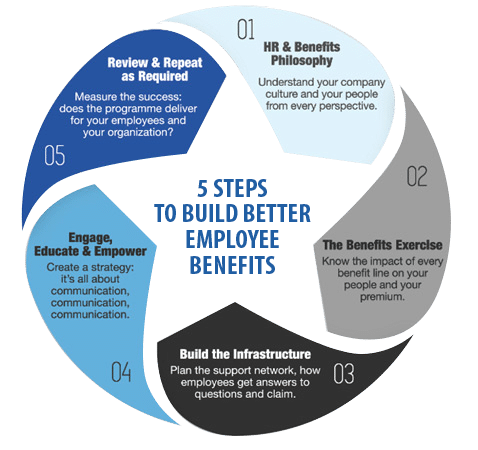 Our unique 5 step blueprint to Building Better Employee Benefits allows you to develop the best programme for your business that maximizes coverage whilst managing costs. And our flexible service model aligned to your needs will provide you a superior customer service regardless of your size. All with one goal, to provide high-quality, sustainable health & benefit programmes for you, your business, your employees and their families. Expat Insurance was awarded Singapore Broker of the Year Singapore Broker of the Year - 3 years running (2016, 2017 & 2018) by Asian Banking & Finance Magazine for our Employee Benefits leadership. Contact us to find out more. We believe the best results come when employee benefits programmes are insight-driven and data-powered. 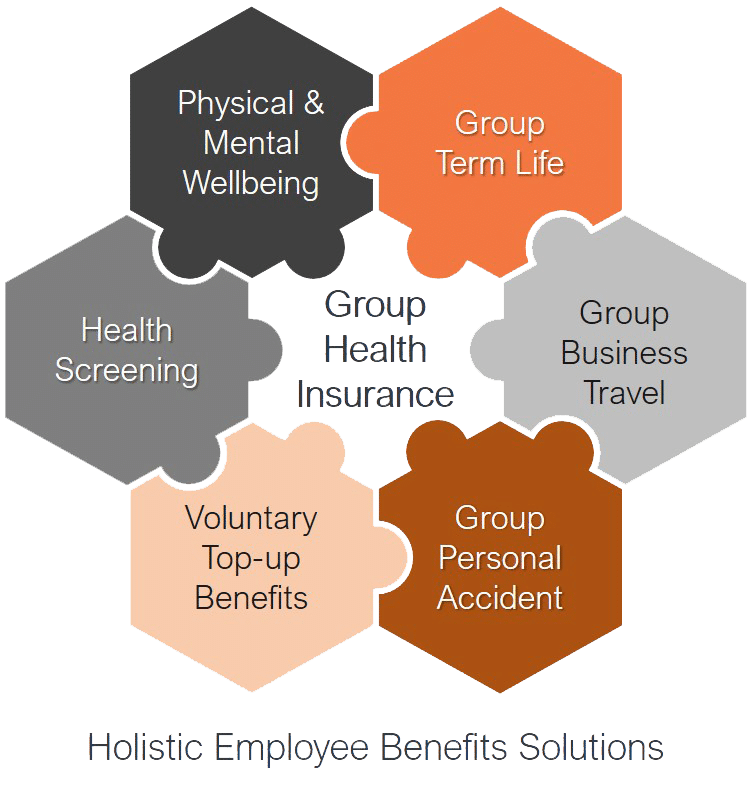 Understanding your company culture, your people and your benefits philosophy enables us to create bespoke Health & Benefits programmes aligned to your business’ objectives. We are focused on removing the technical complexity of product and programme design by providing clear recommendations to help you simplify your decision-making process. We fight for you in the insurance market and drive the best deals for your business. Procuring insurance is about delivering the peace of mind that comes with the promise of protection, not getting lost in the confusing terms and conditions. Paramount in our partnership role is a desire and action to minimize the workload and resources required by you. When it comes to insurance, benefits should respond in accordance with their design, intention, terms and conditions. When this does not happen, or when a member has questions, concerns or feedback on their interaction and experience with an insurer at time of claim, we are here for you. We will interact and engage with employees’ queries and claims escalations directly on a day to day basis, providing additional resources at no extra cost to you. With most of our corporate clients, our team becomes an extension of your team. Pivotal to the success of any employee health & benefits programme is clear communications. Our team is available to conduct Employee Communication Sessions on-site or online, providing your members with a programme overview and an understanding of how to access their benefits. The world of business is continuously evolving so your employee health & benefits programmes should be too. We help you review plan designs and claims data to ensure the programmes remain in line with your business objectives and your employee value proposition. It is critical for you to be strategic about your employee health & benefits spend while embracing your duty of care responsibility to protect your employees and your business. There is no one-size-fits all solution. In each client partnership, we aim to provide true and realized long-term value for you and your people. We look forward to engaging in partnership to create a total solution.